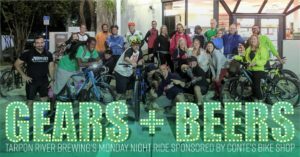 Join us every Monday for a group bike ride with Conte’s Bike Shop! 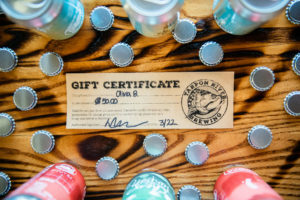 First we drink, then we ride, then we drink some more and host a RAFFLE with giveaways from both Conte’s and the brewery. Ride starts at 8pm and goes til 9:30pm. Starts and ends at the brewery. 10-15 mile loop around downtown with a break in the middle. This is a chill pace, roughly 8-12mph, so all bikes are welcome! 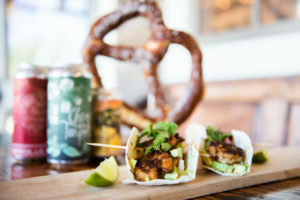 Every Tuesday is Taco Tuesday at the brewery! Available all day from open to close. We open at 8am every day and our kitchen closes at 10pm on Tuesdays (but you can still drink til 11pm). Can’t wait for the next flea? 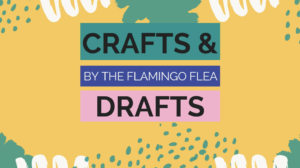 Join us for a night of crafts and drafts with Flamingo Flea! RSVP through Eventbrite for a free drink ticket. Join us and Challenge Entertainment on Thursday nights at 8pm for #LiveTrivia! Bring your baby and grab a brew! Join The Learning Loft at Tarpon River Brewing 10am-11am on the LAST Sunday of the month. Dads! You are your baby’s most fascinating and educational toy! 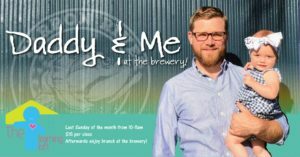 Join our Daddy & Me at the Brewery and engage in meaningful play, strengthen father & baby bonding and have a ton of fun! Tickets are $15 per class; payment accepted at the door. The Learning Loft, based in Fort Lauderdale, is owned and operated by certified, professional educators and mothers Fran Rubio-Katz and Alyson Young. Trailblazing uncharted paths in learning since its inception in 2013, The Learning Loft is a home away from home for many South Florida families. The mission of the Learning Loft is to empower children who learn differently. They provide students, families, and schools insight and strategies necessary to meet each learner’s needs in school and at home.